The landscape may be changing for China's smartphone giant Xiaomi, and based on some of the estimates, it isn't looking good. First, earlier this year Richard Wilson, an analyst at Radio Free Mobile in a note titled "Xiaomi: Reality Check PT V" claimed the firm's valuation had gone from US$45bn (£34bn) to less than US$4bn in just two years. Radio Free Mobile is in its own words "an independent research producer specialising in the digital and mobile ecosystem". Now, Xiaomi isn't listed so it's impossible to say how much the company is actually worth - and it is just ONE analyst - but Mr Wilson is basing this on how many handsets he believes Xiaomi is selling. Xiaomi strongly disputes this data and says it is "seeing very healthy demand". But it admits it is also "experiencing some challenges in the supply chain this year". In an email to the BBC Xiaomi said it last raised money two years ago so its valuation still stands at US$45bn. It's difficult to say definitively how many handsets Xiaomi sells because it doesn't release that data. However, in recent weeks IDC, a global consumer technology research house, released estimates which it said showed that Xiaomi's mobile shipments had fallen a whopping 38.4% in the April to June quarter of this year compared with the same time last year. IDC says Xiaomi is ranked fourth after local competitors Huawei, Oppo and Vivo. Data published by Counterpoint Research in April also shows Xiaomi's global market share shrinking - down more than 12% for the first quarter of this year compared with the same period in 2015. Counterpoint Research is a technology market research firm covering everything from smartphones to wearables. 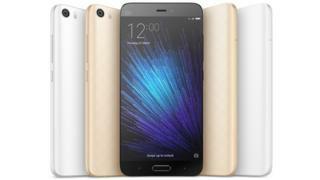 But Xiaomi says that the estimates it has from other research houses paint a more positive picture. In a statement to the BBC, a Xiaomi spokesperson said: "We understand that different analyst firms have different calculation methods. There are many other third-party reports out there, including those by Strategy Analytics, Gartner and IHS that put our Q2 2016 numbers significantly above what IDC estimated, and those are much closer to our true sell-out number. "We are seeing very healthy demand, but also experiencing some challenges in the supply chain this year. We are ramping up and in June, we sold 6.94 million phones in just one month." It would be fair to say there's a degree of industry envy over Xiaomi's spectacular rise. It was once heralded as the "Apple of the East" - partly because of its sleek designs and the way it presented its products to the market. But Apple claimed it was a copycat firm and sold the handsets at a cheaper price. Xiaomi says this isn't true and that its innovative e-commerce strategy is what has helped it race up the smartphone charts. So what's going on at Xiaomi? Remember, though, that Xiaomi isn't listed and it hasn't raised money since 2014. Given that's the case it's hard to put an actual number on how much it's worth - but it would be fair to say that the environment in which Xiaomi initially raised cash was much better than it is now. When Xiaomi first hit the Chinese market, the economy was doing better, the market was flush with cash to spend and investors were looking for the next big thing. The environment is different now and people are a lot more cautious. In this environment it's harder to justify a US$45bn valuation based on low growth. Xiaomi's rivals say it uses the formula that Chinese manufacturing firms did in the last decade to get ahead. Copy, produce, sell at rock bottom prices - repeat. Xiaomi says this isn't true, but, arguably, this formula helped Chinese tech firms beat the foreign competition time and time again in the Chinese market. However, the biggest competition now is coming from inside China - not outside. That's led to Xiaomi expanding in markets like India for instance, but even there it's facing local competition. Xiaomi's critics say that there was just far too much hype around what the company was trying to do. Sure, the way it sells its phones - over the internet and with no marketing costs - was seen as "disruptive". Now, though, it's at risk of being left behind by local competitors who are doing the same thing and better. In fact, a lack of marketing is one of the factors IDC points to as to why Xiaomi is suffering. Other companies have adopted brand ambassadors in China - celebrities or well recognised faces that young Chinese are familiar with, and that's helped them. Xiaomi knows that it cannot rest on its laurels and that's why it appears to be looking at breaking into the US. It has bought 1,500 patents from Microsoft to help it to do that one day. But it may face more concerns about its valuations as it spreads its reach.